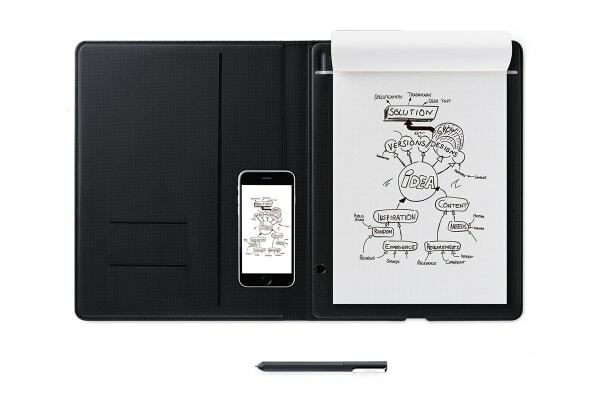 Work smarter with Wacom Bamboo Folio A5 Smartpad. Write naturally with pen on any paper, then store, shape and share your notes and ideas in the cloud. 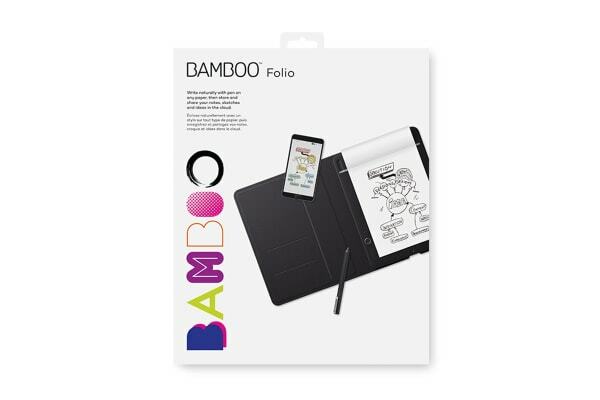 With the push of a button, the Wacom Bamboo Folio A5 Smartpad converts your handwriting into living digital files. The Wacom Inkspace app lets you organize, edit and share your notes and sketches on your iOS or Android Bluetooth-enabled devices. With the Inkspace cloud service you can sync your notes in the cloud and access anywhere at anytime. 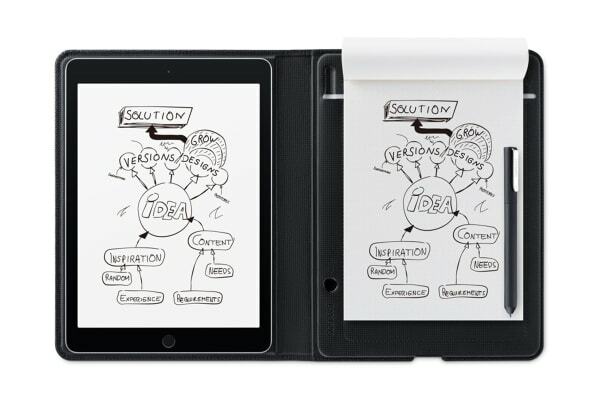 Bamboo Paper, an app that turns your mobile device into a paper notebook, lets you to further edit and refine your captured thoughts and ideas. The app offers different colour palettes, tools and the ability to add and annotate on images.